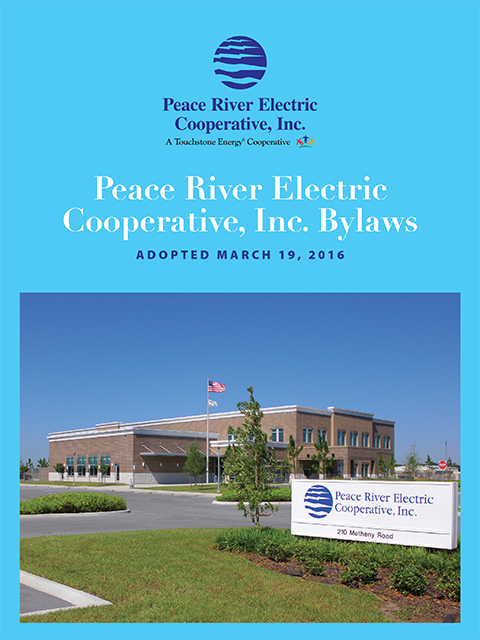 View Peace River Electric Cooperative’s Corporate Bylaws (PDF). The latest revision to the Bylaws was adopted March 19, 2016. To request a copy by mail, please call our office at (800) 282-3824.